Please take note of new tuition payment requirements for Maricopa Community Colleges students. Tuition is due on the day that you register. Rio Salado students are an exception and should check their student center to confirm due dates. 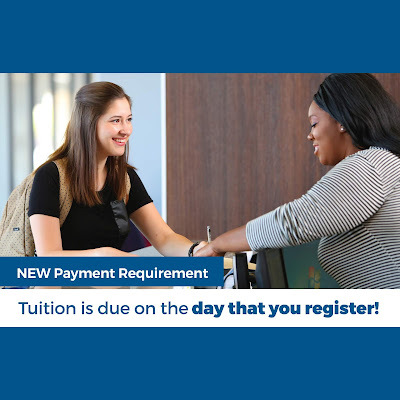 For more information, including payment options, visit www.maricopa.edu/payment-options. Please also note, the registration processing fee is non-refundable.